What to expect the first 20 months? Leaps, leaps and more leaps! ten in all. Welcome to the fully-updated and revised 6th edition of the book—with 30% new material—that made “leaps” the buzzword for parents of young children worldwide. Fussy at 5 weeks? Cranky at 19-weeks? Clingy at a year? The baby must be approaching a leap, a time during which new skills are mastered, discoveries are made, and perceptions evolve. 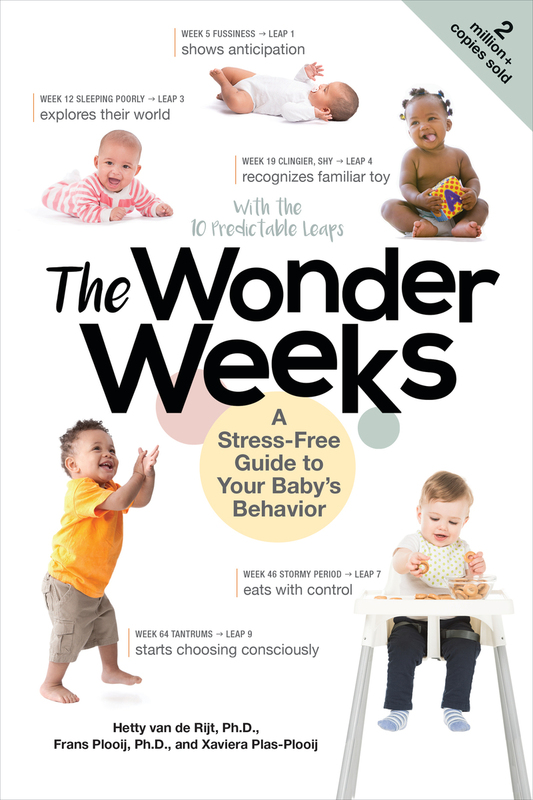 For new parents, being able to anticipate predictable fussy phases—and the magic that follows—is a game-changer, courtesy of The Wonder Weeks . The Wonder Weeks has a bestselling app, an interactive website, thriving Facebook groups, and "like"-generating social media posts from celebrities, influencers, and everyday parents alike. Xaviera Plas is a columnist, writer, and speaker. CEO of the Wonder Weeks, she is the daughter of Dr. Frans X. Plooij and Dr. Hetty van de Rijt, authors of The Wonder Weeks. Frans X. Plooij is the director of the International Research Institute on Infant Studies at Arnhem, the Netherlands, and is a member of the New York Academy of Sciences. The late Hetty van de Rijt, PhD, studied infant development at the University of Amsterdam from 1986 to 1990, observing babies in their home environment.